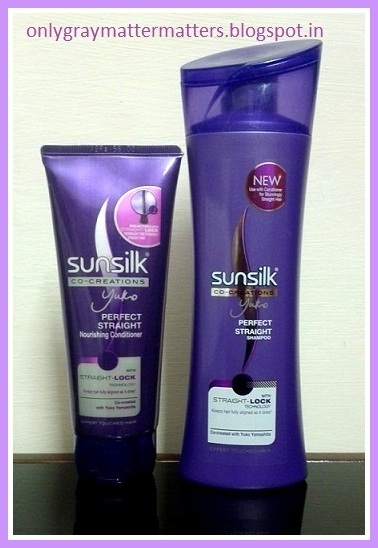 This is a review of Sunsilk's newly launched Perfect Straight Shampoo and Conditioner with Straight-Lock Technology, co-created with Yuko Yamashita. 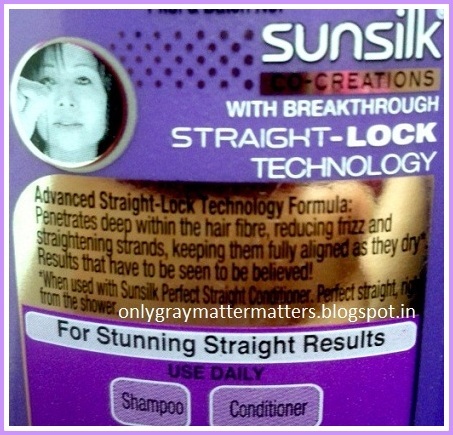 You can buy Sunsilk Perfect Straight Shampoo online HERE. The shampoo also comes in a 360 ml packing priced at INR 189, but I haven't seen that anywhere. The shampoo is showing out of stock on most online stores, which means it is selling hot and I could rarely find the conditioner on any online store. The other day I saw a TV ad that the small conditioner is presently free with the shampoo. But is it worth buying? READ ON. Both the shampoo and the conditioner smell like all other Sunsilk variations, nice and not overwhelming. I had slightly wavy, very long hair which I had gotten rebonded in Dec 2009. The rebonding lasted 2+ years, after which the new growth up to shoulders turned wavy again. I keep my hair tightly braided from last 1 year, which is bound to create temporary waves. My hair go frizzy only sometimes in very hot months. I do NOT use shampoos that contain sulphates. Ever since I have stopped using sulphate based shampoos and have reduced the use of conditioner, I am enjoying rich and healthy hair with absolutely no hair fall in the past few months. The first time I washed my hair with Sunsilk straight lock shampoo, I was elated. It spreads and lathers very easily even with a small amount. While rinsing away the shampoo, my hair were absolutely straight and soft under running water. I have color treated hair and SLS based shampoos leave my hair ends into unbelievably bad knots which takes me some 30 min or so to untangle. I have used Sunsilk straight lock shampoo 5 times now, and each time I came out of shower with absolutely soft, straight hair with no tangles at all. This was a BIG THUMBS UP! It is important to know here that I usually wash my hair hanging straight at my back instead of bringing them to the front of my head. Also, I towel them in straight length and let them air dry naturally hanging straight. This habit gave me gorgeously straight hair results with this shampoo. You obviously cannot expect ironed or rebonded straight hair but we are talking about more aligned less wavy hair. This shampoo gave bounce, volume, shine and straightening to my hair and could have been an absolutely wonderful product BUT I started noticing hair fall from second use itself. After a very long time, I am seeing full hair strands right from my bed to my bathroom floor to where I comb my hair. The hair are coming off right from the roots. The strange thing is, while shampooing, only one or two hair strands come out but later I see hair stands just anywhere I sit in my house and I have to check when I enter the kitchen. The hair are soft and non-frizzy after drying. But for the first comb after every hair wash, I had to use a hair serum to comb through as the fallen hair stuck in the lengths. It contains the regular laundry list of chemicals, and Mineral Oil that forms a coating on the hair and seals in moisture. Mineral oil also prevents the additional moisture in the air to be absorbed into the hair thus preventing frizz. As the weather is not humid here at present, there was no way to check how anti-frizz it actually is. But mineral oil CANNOT penetrate the hair shaft, so the claim in the 2nd picture above is false. Also, when used in dry weather, it would ultimately dry out your hair by not letting them drink up any moisture from the air around. The shampoo and conditioner both are to be used together to get straight hair results. Usually I condition my hair once in 3 weeks or so but I used this conditioner every time I used the shampoo. This conditioner is slightly thicker than lotions and sometimes spills easily if I am not careful while dispensing it out of the tube. 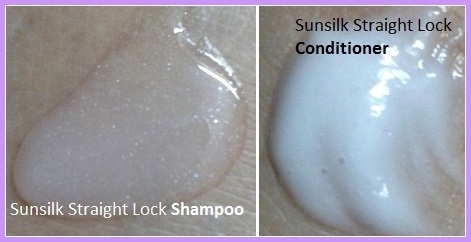 A very very small amount of Sunsilk Straight Lock Conditioner was enough for my very long hair, which amazed me. I dilute it with some water and then it easily spreads on my entire hair in a few seconds. Leave for a minute and rinse off. Requires less amount of water to rinse off as compared to other conditioners. I have even tried the conditioner with my regular Organic Surge (non sulphate) shampoo. While I did get very soft and nicely straight hair with this conditioner, the hair fall is still there. This shampoo and conditioner do give beautiful straightening results to normal wavy hair but cause hair fall on regular use. I have tried these on absolutely healthy scalp when I had no hair fall or other issues. I will now use them once in two months in between my regular non sulphate shampoo. I hope it should not harm my hair that ways. I will NOT repurchase these. If you want to try these, try the smallest packing first as it is pocket friendly. I haven't seen these in sachets yet. If any of you have used it and not experienced any hair fall, please share in the comments below. Note: I had applied for a free sample of this shampoo and conditioner at indiblogger.in on Jan 31, 2013. The bloggers were supposed to use these and submit their experience for a chance to win some prizes. My sample reached me after the contest date. I did not purchase these and was under no obligation to review these. I am reviewing these out of my own free will. Ha ha that's why I didn't put a before and after pic :) I wanted people to concentrate on the review than my hair. And completely agree with you Supriya. It was so annoying to see my hair strands just about everywhere in these few weeks. Dear Lekshmi, this oil will give you more manageable hair by softening your curls. In fact any product that contains good quality mineral oil makes curly hair more manageable but if the hair are dry or damaged, then it may further dry your hair. You can definitely give this shampoo a try but to answer your question, it CANNOT turn curly hair into straight hair. It will just make them look more manageable. If you want less curly hair or if you want to soften your curls so your hair look longer, use Henna with a few spoons of Amla powder added to it. Amla powder helps soften and condition curly hair and relaxes the curls too. You can also mix some Argan, olive or avocado oil in some shampoo on your palm and use that. It will soften your hair and make them look straighter and longer. No product can turn natural curly hair into poker straight. Only harsh chemicals can. sad to hear that it didnt work for you..i have been using it for almost a month now, and i only have a normal hairfall which i had before using the shampoo..my hair feels much settled now..
Ohh thats too bad that it caused hairfall. I was thinking of using this but now, I will never ever as I have lost a lot of hair volume due to styling and treatment now dont want to take risk. Thanks for sharing this Gagan!! Niesha if other sulphate based shampoos suit you then this should be fine to use. But if you have sensitive scalp and really do love your hair, rather give it a pass. There is no comparison to naturally healthy hair. Which non sulphate shampoo do u use Gaganpreet? To be honest, I have used many Sunsilk variations in the past and they have actually worked better for me than some premium brands especially the black one. My scalp no longer tolerates sulphates it seems. I use Organic Surge shampoo. Review available under Hair Care tab above. Mine is the color protect one but other variations are equally good and they don't lather much. I am using Elvive colour protect shampoo since long time almost 5-6 yrs and this shampoo works very well on my hair...i am so scared while trying another one...but that's bad sunsilk caused hair fall..
Wow that's a pretty long period for a shampoo to keep doing a great job. Will check that out for sure. Thanks for sharing Tej. If you have curly, frizzy, unruly or coarse hair, this shampoo will help tame/control them as it has mineral oil which coats the hair shaft to make them less frizzy. But mineral oil is derived during petroleum refining and may be of good or poor quality. If you are using a normal SLS based shampoo with no problems, you can try this one without any problems. Also, it is quite cheap that even if it doesn't suit you, you won't regret buying or can use it on the lower ends of your hair without touching the scalp. But you should not use any shampoo continuously for years as body becomes immune to the same product after a while. Let me know if you have any other doubts/ questions. By results do you mean straight hair? Well it just makes your hair less wavy and more aligned making them appear straighter. Don't expect straight hair like you get with ironing. And if you read the article, I saw nice results in first use but had to stop using it as it gave me bad hair fall. It's still lying with me and I might try it on lower hair length and not on scalp. If you are the same confused person from the last two comments, pls forget about this shampoo to stop your confusion. If you already have hair fall, this is not for you. Almost all shampoos work well for virgin hair. But for heat treated (ironed) or chemically treated hair, you need a mild shampoo. If you need specific help, please read the Blog Policy from the tabs above, become a member and email me. I will be happy to provide specific solutions. i have been using fructis garnier since last 6 years..but there is no change in my hairs texture!...so for a change i would like to use this shampoo..:P..what is the market price of this shampoo gagan? INR 110 for 180 ml. If you really want improvement in hair quality Harleen, forget about these ordinary shampoos and conditioners and invest in something better, or else try out Jojoba oil as a hair serum and see the magic. You will not need a conditioner if you use Jojoba oil. I have kind of wavy hair, I was using flat iron and blow dryer to maintain my hair straight, only to make it look settled and frizz free but hair fall and greying made me stop doing it anymore. Will this shampoo work in that case to make my hair look atleast straight enough? Because I'm more into leaving my hair open. Can u recommend something for my hair? ?I have wavy hair....almost 1 yr. back i went for smoothening..Now half of it has gone..now i have somewhat uneven hair which i dont like at all...n also i have normal hair fall(not too much)..Can i go for this shampoo??? can u recommend something for my hair??? i have wavy hair...i am thinking of getting some hair treatment like hair smoothening should i go for that?? ?i have a problem of hairfall also..and my hiars are very thin light and rough?? ?please suggest me something???? Dear Divya, coincidentally your comment resembles the comment just above yours, though the details are contradictory. Hair smoothening is going to be a heavy duty chemical party for your hair. If you don't want to lose your hair just avoid the temptation. I had rebonding done once and was a fool to kill my own hair. Lost almost 60-70% of my hair volume. Recently I have started using natural products and have been able to restore healthy hair. For now, I have only one suggestion: go for Jojoba oil, your hair really really need it. It will repair the damage, restore shine and lusture, and used a day before shampooing, it will give you heavy hair which will be naturally straight aligned, better than what any chemical shampoo can do. I am using it too. I got from Soulflower as there is an offer going on and the quality is great, but you can buy from any brand. Also, which shampoo do you use? Have you had any chemical hair treatment before? Hi gagan.. well I currently use Tresseme shampoo fr my hair nd it gave me great results in the beginning.. bt as I returned from a trip.. which ofcource led to change of water, I notice immense hair fall.. Would you please suggest me any cure for it..
Hi. The hair fall could also be natural as we are all experiencing a LOT of hairfall at this time of the year. And I have noticed, it happens every year during rainy season: the hair grown in length though there is hair fall. I think it's because of excessive humidity during rainy season, when moisture turns hair frizzy. So wait for a few weeks and see if it stops, else please change your shampoo. Change of water during a short trip cannot cause immense hair fall. It happens gradually say if you shift to an area where hard water comes in taps etc. Don't comb wet hair as the hair cuticles are expanded when they are wet and it is the easiest time to pull your hair off the roots. Don't thrash them with towel. Don't use hair conditioner on the scalp or in the hair roots. Massage a Vit E rich oil like sweet almond on Jojoba into your scalp and leave at least over night before shampooing. 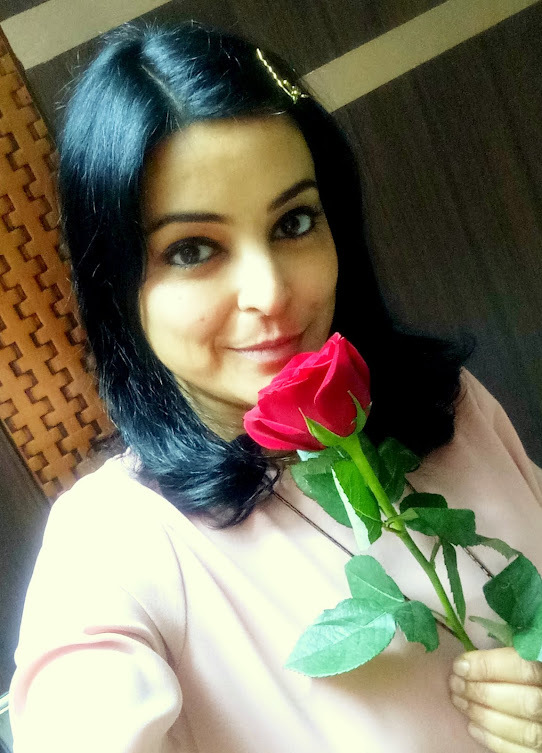 Dear Megha, I had bought Jojoba oil from soulflower.biz during an offer. Currently also there is an offer of Rs 150 off on Rs 500 Cart value with coupon code SOULFLOWER150. They also send a pump dispenser along, which really helps in taking out the oil easily. But you can also buy from flipkart at no discount/pump. Aroma Magic also offers Jojoba Oil. Just massage Jojoba oil into your scalp and leave a day or at least overnight before shampooing. Skip the conditioner for some time and see. If you can spend some more, try out any shampoo from the Organic Surge range. You can read my review under 'Hair Care'. 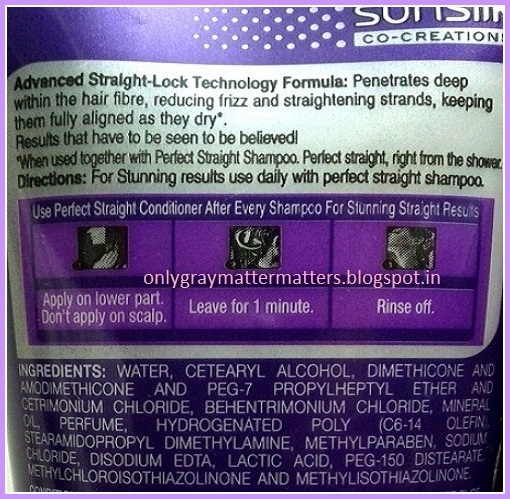 The review is for the color protect shampoo but the characteristics and usage instructions I have shared might be useful to you. Thank you Gagan for sharing the details. If I'm not wrong, the oil can be applied directly right, without using any other oil in combination. Will definitely check your review for the shampoo. Thank you once again. Yes Megha, Jojoba oil is a carrier oil, so it can be used directly without any worries. It is an excellent oil to nourish your nails, scalp, skin, face etc. In the winters, it can replace your body lotion and can give you golden glowing nourished skin. It gets absorbed very easily. Essential oils are very strong and evaporate easily, they need dilution before using. Diluting essential oils ensures that they don't evaporate quickly, don't burn the skin and also the carrier oil carries them deep into the skin where they can work and benefit us. Jojoba being a carrier oil, is the one which acts as a base for dilution for essential oils. If you don't color your hair, even a shampoo bar from Soulflower would do the same good as Organic Surge shampoo does, and the adaptation period applies to both these products as they are SLS free. Dear Niharika, you are just 18 and it's a blessing in these times to have thick volumnous hair. That's another story they are frizzy but as we grow up and want to look beautiful, we find our own ways to manage such things. You know when I was a kid, there were hardly any good shampoo brands in the market and I didn't even know what a conditioner was till I was your age. I used conditioner first at the age of 24!!! Anyways, to put it straight, no shampoo or heating tools can give you that straight hair. And poker straight hair look so limp and artificial. If you have hair fall, I am afraid Tresemme is just going to increase it further but use for some more time and let me know. Please give up on ironing or you will permanently damage and lose your healthy strands. I see all you really want at heart is frizz-free hair that look gorgeous enough to win compliments. To achieve such hair naturally, you will need to put in some effort, so the effort you are wasting on iron, put it in the right direction. Coconut oil can deep condition, but do you know, when used on dry brittle damaged hair, it makes them even drier and harder? Your hair need a proper restoration period. If you are willing to work on your hair to make them beautiful, give up on ironing. Become a member and email me. I will guide you on proper care and how to make them softer and lovelier. But it will need patience for a few months. Dear Carolina, thanks for the compliment :) and I am glad you took time to read through the previous comments. Can you please share if you have virgin or heat/chemical treated hair and what exactly is the problem - hairfall, frizziness, no shine, brittleness etc? I will then suggest accordingly. I am thinking of doing a post on general hair care in the near future, so stay tuned. Hey Thanks 4 d reply.. My hair length is such that they just reach the middle of my back(matlab they are not yet waist long). They are straight in the beginning but curl towards the ends(and that too irregularly). The problem with my hair is that they are so LIFELESS!! And moreover they are so irregular in thickness and get tangled very fast when i leave them open..So all in all, they are disastrous!! Conditioning just makes them smooth but they still remain the flyaway hair that they are and get tangled when open for even a minute! Lately i've started using Shahnaz Husain's Arnica shampoo..I've never used heat or color on my hair n try to keep them as natural as possible.. and because they're always so dry, i don't even let the hair dressers blowdry them after a haircut. I do apply henna once in a while for conditioning though.. I'm 22 and have always used these so called 'herbal' products available like Nyle, Himalaya n now Shahnaz's. But apart from these, I also find all new products and brands so lucrative n I'm tempted to use them but fear the damage to my already dead hair.. So if u cud suggest some products,treatments,any home remedies or anything that wud work, I'd be really grateful..
Hi Carolina, thanks for sharing your concern. It won't be possible to answer such a detailed comment here. Please email me after subscribing on Facebook and Email, and I will be happy to provide specific advice. If you are already a member, let me know your subscription details and email me. Refer Blog Policy for details. You are welcome dear. I have received your email and will get back to you in a few days. Hi Gagan... God bless you for the efforts and patience you put in with this blog. Its just amazing! My hair is dry, frizzy and wavy and to manage it i use loreal shampoo and conditioner which has given me 'ok' sort of results. But since I have sensitive scalp I get a bit worried to experiment with new products but I do oil my hair everytime before shampooing as otherwise the frizz gets worse. Also my hair doesn't grow after a certain length and I absolutely love long hair. The Jojoba oil bit you mentioned is something I am definitely going to try. What else do you think will help my hair? Also can you please suggest where can I buy the organic surge shampoo that you mentioned. Dear Sonia, thanks a ton for your wishes :) If it helps put people, it serves my mission. I have used L'Oreal's professional range of shampoos Liss Extreme and Liss Ultime for around 8 years before I could finally figure out my hair problems and unnatural hair fall was being caused by them. There is a box on the bottom right side of every page with a direct link tp purchase organic surge shampoos and a 15% additional discount coupon code. Today is the last day for the discount. The link will automatically take you to the site that offers the highest discount and the coupon will get you additional 15%. Else, you can google search and buy from any online store, most stores are offering at much higher prices than this. For usage instructions, you can refer to my review under hair care, though that is for the color protect shampoo, the other points are same. Use jojoba oil as a serum in the scalp and some in the hair length a day before shampooing. Then after shampoo, again use it on towel dried hair. You don't need much. Just spread on your palms and run your hands like claws down the length. Else take some on your palm, dip your comb in it and let the comb spread it. It is quite rich so a little goes a long way. I bought from Soulflower.biz and they sent a pump alongm, which makes it easy to dispense. If you can afford, you can also try out Argan oil, which is for normal to oily scalp. Try couponcode SOULFLOWER150 to get Rs 150 off on purchase of Rs 500 at soulflower.biz. Else you can buy from flipkart or medplusbeauty.com. Changing the shampoo and using Jojoba/argan will tame the frizz to a great extent. I will do a hair care post soon, so please stay tuned for more tips. I was looking for organic surge moisture shampoo from medplus but it seems out of stock... in the meanwhile was thinking to order a shampoo bar from soulflower. I was just wonderin... as Jojoba and Argan oil both have their individual properties couldn't we mix the two to get the best of both? Yes Moisture Boost is out of stock even I had checked it. I will be reviewing it soon as I have one. Yes, you are right. You can mix carrier oils and be creative. I mix Jojoba, Argan and then add a few drops of rosemary essential oil. It makes hair ultra soft. The packings are just 30ml so using either alone requires a lot of oil. When I mix, I see that they spread easily. Mainly I massage in the scalp and then mix one more batch on my palm and do the lengths spreading like hair serum with my fingers spread like claws. The comb does the rest. I had also tried something i had read on Soulflower's FB page. Once I heated coconut oil and then added some fresh flowers (a rose and a few fragrant ones from some shrub) and let it sit. Applied it when it cooled down and the moisturization it provided was amazing. And you can write to medplus or other online stores to procure the shampoo. Also, enter your email ID in the 'Notify Me' box against on product page and you get an email the moment they update the quantity. I do that. My hair is thick, course and blonde and highlighted. I have been using Kerastase for years and it has gotten to the point of being so dry I can barely wash it - it is hard and brittle even when wet. Silicon build up is the culprit. It doesn't wash away and takes a while to wash out, even with a silicon free shampoo. But after one wash with the Shielo Hydrate Shampoo, my hair is back to feeling baby soft again! I love Shielo and I have never even heard of this brand! I am going to use this as my regular shampoo until it is gone. Its from the Shielo brand, called Shielo Hydrate Shampoo. Shielo is a US brand and I have been searching for it for quite long but not available in India. It is not sulphates free but I have heard some really rave reviews about their color protect shampoo. Where did you get this Shielo Hydrate Shampoo? I have tried the conditioner with Himalaya Protein Shampoo. It was good. But It is mentioned the conditioner should not be applied on the scalp. I noticed hair fall only after I applied it on the scalp. The results are good. My hair ends are straight. And the hair looks overall not curly. Mine was curly and frizzy hair and the ends would always dry out. But now the ends are soft and not tangled like before. Thanks for the lovely feedback. I am sorry I jusr noticed this comment was left in Feb beginning. I approve comments from my phone and sometimes later it is difficult to locate them from Blogger interface. Yes, no conditioner should be applied directly on the scalp even though there are countless people out there doing it. It always causes hair fall. This shampoo had made my hair soft too except that it started causing hair fall for me. One great difference in this one was that it didn't dry out and tangle my hair ends like other sulphates based shampoos do. Which sulphate free shampoo do you use? I am still using the Color Protect Shampoo from Organic Surge, which has been discontinued. They have reformulated their moisture boost shampoo into color protect one but it contains Sulphates and I am afraid to try that yet. When I got to know that the one I use has been discontinued, I had bought and stocked the last few last bottles from online stores. I have tried Soultree too but that is a costly affair as compared to my current shampoo and as I am nearing the end of my stock, my search for a good sulphates free shampoo still continues. 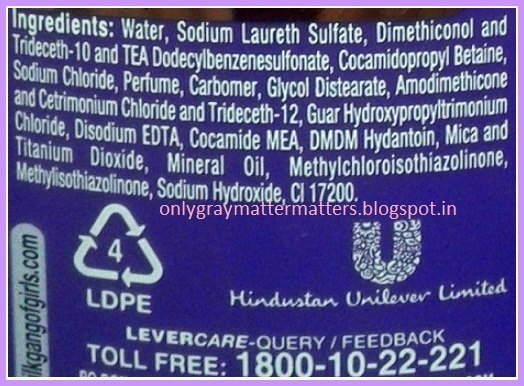 I have literally checked every possible shampoo available in the Indian market and the ones without sulphates either have dimethicone/silicones or other harmful chemicals. I recently tried a mixture of aloe vera gel and hibiscus leaves after blending in a mixer and it had exactly the same feeling as a shampoo, but it toned down my hair volume to half while making my hair soft. I want to test again with aloe vera / hibiscus leaves / hibiscus flowers all separately. If any of these works out as a good natural shampoo, I will share on the blog. Dear Sneha, henna makes hair straighter. So you can do a henna hair mask once in a while but don't use an iron utensil to soak it. Also, washing the hair hanging straight at the back helps. Third, let them dry straight and don't twist them or braid them when they are wet. When they are about to dry and just slightly moist, that's the best time to comb or brush and you can set them at that time. All these little things will help you achieve naturally straighter hair. If hair fall is a problem with all shampoos, it's time to go sulphates free. 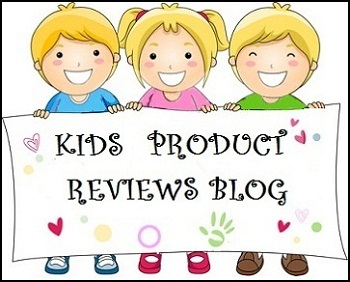 Check the review of Bubchen shampoo under the Hair Care section above. hi,is it good for my dry and frizzy hairs? The mineral oil in this shampoo will make your hair 'appear' soft and silky for a day or two max, but it will further damage your hair. I am testing a new natural sulphates-free shampoo which is really good. You can try that. I will review it soon so stay tuned. Hey dear nice blog.. But sorry to go out of subject.... I would like to know how do u have such a radiant, luminescent, spotless skin??? Eager to know your beauty secret.. & what kinda food diet do u follow? I hate to comb my hair s it cause grt hairfall but also vry tough to remove tangles...so can i find a good solution by using this shampoo😞? So...finally here I come with my problem. I ve frizzy n curly hair....had a gud volume but had great hair loss at the end of 2013 due to stress. Now I ve used Livon hair gain tonic n right now m using regen hair vitalizer as it had great reviews. Can u suggest me somthing natural for gaining hair volume n getting somewhat straight hair naturally. also, my hair texture is dry n i haven't undergone any hair treatments but yes i do straightening coz there is no way for me to go out with uneven, frizzy n curly hair.